Hungry for fresh, exciting science content? 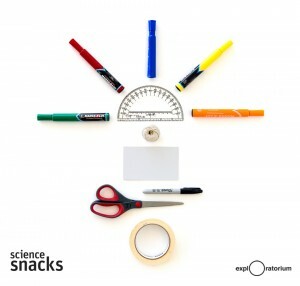 Science Snacks are free, hands-on activities that are teacher tested, scientifically accurate, and use readily available materials. 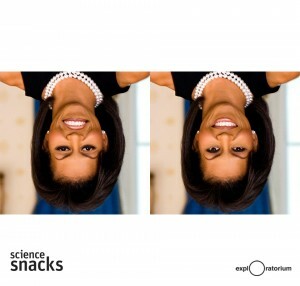 This new website (launched December 2015) showcases over 150 new and updated Science Snacks, with more to come each semester. Users can browse and search for activities in different ways to satisfy their curiosity without ever getting full. 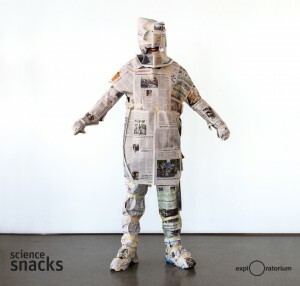 The Science Snacks website replaces an old site from the 1990s. The new design is clean, modern, flexible/scalable, easy to navigate, and features new photos, animated gifs (see more examples here and here), videos, and special curated collections to serve different needs and pique interest. Curated collections highlight activities for different interests, from the whimsical to the practical. For over 30 years, the Exploratorium Teacher Institute (TI) has been the professional home for middle-school and high-school science and math teachers in the Bay Area and beyond. TI’s staff of PhD scientists and veteran educators have developed over a thousand classroom activities that encourage teachers and students to build and explore tabletop versions of Exploratorium exhibits and other hands-on investigations of science. These activities are designed to demonstrate unusual or unexpected phenomena, spark curiosity, generate questions, and serve as starting points for deeper explorations. 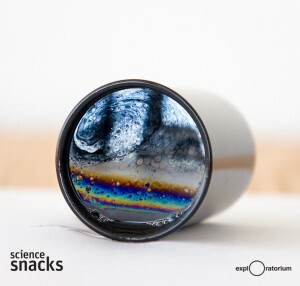 Snacks help people explore every-day phenomena, like the beautiful, swirling colors of soap film. Animated gifs feature prominently in the new site. Activities use inexpensive, readily available materials. Many activities are better with a (trusted) friend. From a technical perspective, the site is now fully integrated with the Exploratorium’s Drupal-based website and content management system. It is a responsive design for mobile devices, easily shared on social media, optimized for search engines and modern browsers, and includes full Solr search capability. 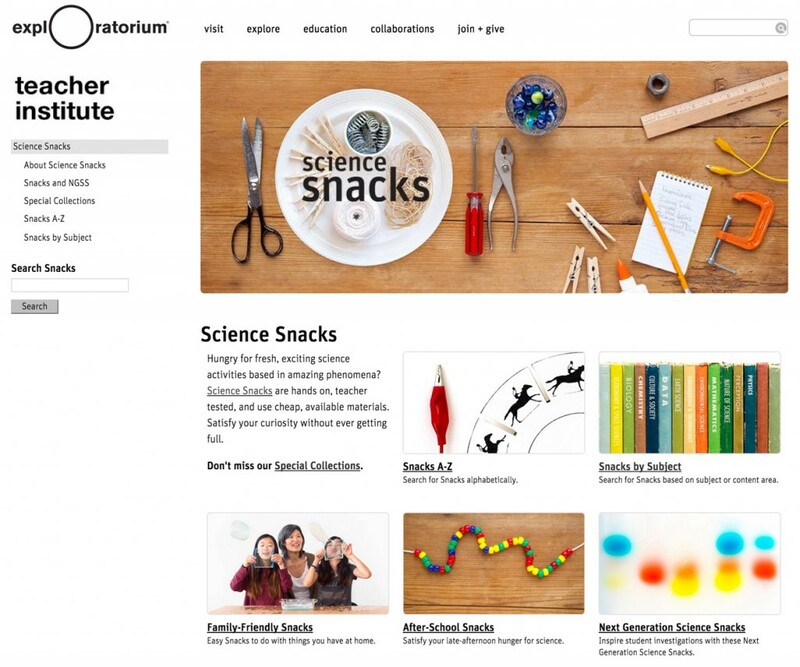 This website was also an entirely internal, collaborative effort involving many different Exploratorium departments that encompass teacher education, digital learning, editorial, graphics, video, and online media. Snacks with Videos: In addition to new photos and updated content, we are actively producing new videos that vividly demonstrate scientific phenomena and provide more detailed instructions as well as useful teaching tips. The multi-part videos are also being published on YouTube and Khan Academy to further their reach and impact and drive additional traffic to the site. #sciencesnacks and #sciencesnacksfail: Our future plans (to coincide with the launch of our next batch of content and the start of the new school year in August 2016) include a social media campaign encouraging people to share photos and videos of recreated, re-mixed, and modified Science Snacks as well as efforts that don’t go quite as well, to foster problem solving, suggestions, tips, and community building. Recent posts tagged with either hashtag would be aggregated across multiple social media channels and appear on the Science Snacks landing page. Our ultimate goal is not just to make these activities more widely available or to translate the phenomena into an online experience, but to make them truly accessible—for people to DO them, use them, share them, improve on them—and support one another to provide the best learning experiences possible for students.